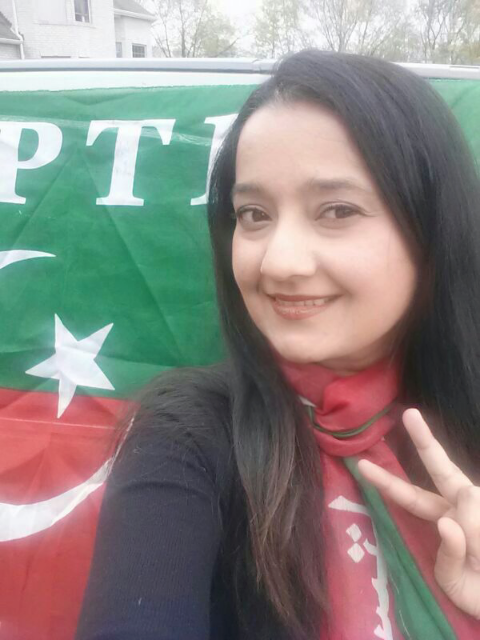 (PTI) supporter Nadia Ahsan talks of how politician Imran Khan’s work to improve health care in Pakistan has inspired her to enlist as a bone marrow donor. 1) Could you introduce yourself and explain your connection to Pakistan? My name is Nadia Ahsan. I was born in Pakistan, raised in the USA. My parents are from Pakistan. Part of my family is still there. 2) Tell me why you have chosen to support Imran Khan and PTI? 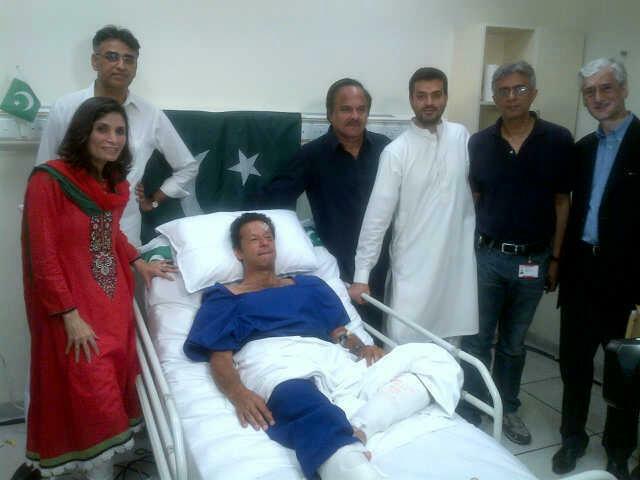 Imran Khan is an unquestionably genuine leader. His credentials are fantastic, vision is impeccable and he leads from the front. Moreover, his fierce pride in the potential of Pakistani youth has really impressed me. He practices what he preaches. He is a great human as he’s shown time and again through fabulous sustained charity and other social work especially in times of national calamities – all from the clout of his personal pull rather than recourse to public funds. When he initiated his campaign for justice by forming the political party PTI, and announced an all-out war against state corruption and social injustice rampant in Pakistan, I simply had no choice but to support him. Imran Khan’s policies and vision are what Pakistan needs to be a secure, thriving and globally-responsible welfare society. 3) What gave you the idea to contact the bone marrow registry? Personal family experience made me aware that there is a cure for so many illnesses we consider terminal. I found that unbelievable, to know that some of the worst cancers can be cured through bone marrow transplant, but saddened to know how low the numbers of officially registered donors is. One of Imran Khan’s major gifts to the nation so far is Shaukat Khanum Memorial Hospital – in the name of his mother who suffered with cancer. It the only charity-based world-class cancer hospital in the world. I wanted to follow his lead on health by donating my bone marrow to help someone battle their illness, as a tribute to him. 4) Why is this needed? We all belong to some specific gene pool depending on our genetic ancestry. Generally a person can only get a match with someone from his own gene pool. I’m from the South Asian community and there is a tragic deficiency in the numbers of registered donors. 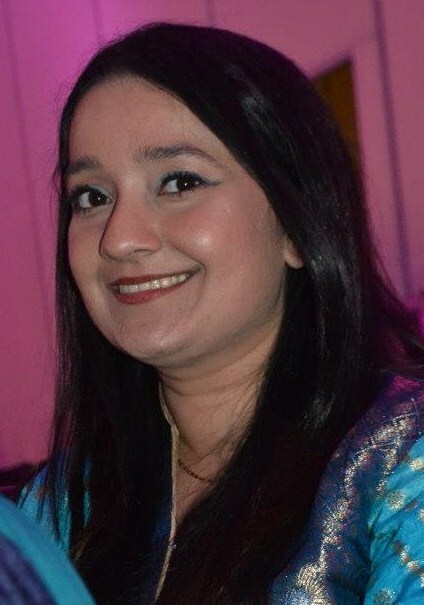 If people from South Asian community don’t come forward, someone from our gene pool can possibly die waiting for a match – someone whose life could easily have been saved. I believe every single human life is precious. Sometimes, patients pass away in great pain just because a suitable match could not be found. Life can throw people in very tough situations, and if we can help them, then it’s our obligation. Not finding a match in the registry while a person knows he has a cure feels as tragic as is being brought to the hospital in a critical condition but finding out there’s no blood to save your life. The primary reason for such a tragedy is clearly lack of awareness. Those who are blessed with vibrant health and can thus donate, are currently just not stepping forward to help out in the required numbers. The situation is dire. We must collectively raise awareness and campaign for mitigating the shattering damage to families’ lives because their loved ones with i.e. cancer pass away due to lack of a substantial pool of registered donors to be able to find a match from. 5) What does being on the bone marrow registry entail? The most important element is commitment. When someone registers, they should know that at any point in their life, if they get called to donate, they should be a fully committed person. They need to be between the ages of 18 and 60, go through a health check and give “informed consent”. They should not care who will be receiving the marrow. It can be anyone from any background – at times from various religions, etc. This should not be important. Humanity is important. The focus should be on availing the opportunity of saving someone’s life. Initial matching is via a kit which you can even get in the mail in the USA. The kit has simple instructions and all that’s required is a cheek swab stick, labelled & mailed back. Along with the quick user-friendly questionnaire, the potential donor becomes enrolled into the BM registry. If the potential donor matches a patient then they are asked to come in for blood work where they do further testing and screening. Once the patient is ready for bone marrow transplant, the potential donor is asked to get ready to donate bone marrow. This procedure is done either via needle in the hip region. To prevent the patient from moving around, they may be given local anaesthesia. The procedure takes about 20 minutes to harvest the marrow. This procedure in the USA is done about 30% of the time since theirs is a most technologically advanced process of harvesting stem cells. The other way is collecting stem cells is through peripheral blood. Before the procedure, the donor is given little needle shots of medicine briefly for five consecutive days. The only symptom throughout the process is a fever-like symptom, where one feels they are coming down with the flu. This symptom is due to the increased level of stem cells in the blood. 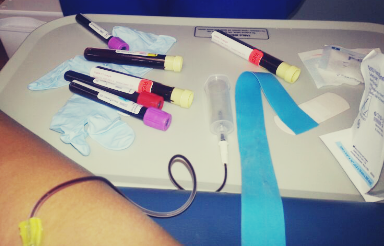 On the fifth day, the blood is drawn in one arm, just as if the donor would be donating blood. The blood goes to a device which separates blood and stem cells and collects the stem cells. Then the donor’s blood is returned to them via a needle in the other arm. The only side effect is the pain of the needle, and the flu-like symptoms the donor feels, but these disappear as soon as they start donating the stem cells. 6) What do you hope to achieve in the US? Donating stem cells is an absolute necessity. No one else can match your own gene pool other than people from that exact gene pool. The shortage of potential bone marrow donors is so acute in any given minority group of Registry, that the patient usually dies before finding a match. Bone marrow can cure many types of cancer, but tragically, people aren’t registered. I wondered how it can be possible, at this day and age, with all the information and education, and media avenues, that there isn’t robust awareness about stem cell transplant. We all know about cancers. It has affected many we know and love. Thus, there is all the more need to be aware and to contribute to saving others’ lives because it may well have been your near and dear one who needed a match. 7) What is the situation regarding bone marrow transplant in Pakistan. Bone Marrow Transplant in Pakistan is a promising field. The doctors are talented and the research is improving. There are a few hospitals which have active bone marrow transplant programs. 8) How can people help there? Currently, everything is done on an ad hoc basis as there is no centralised system of database to access pools from various regions within the country and from abroad. Intensive awareness of the potential and a registry of potential donors must be set up. A team of people need to spread awareness as well as organize and maintain a registry for potential donors and then engage the public, mainly the youth to do bone marrow drives. Bone marrow drives not only signs people up but also spreads awareness and signs up people willing to help further the cause through becoming active campaigners. 9) I am aware that the election is taking place in Pakistan on May 11th, How do you think it will go? My fear is that people will get hurt in the election. I hope police and ambulances are on extra alert and on standby. I hope turnout is huge, and I expect Imran Khan’s brainchild party PTI (Pakistan Tehreek-e-Insaaf / Movement for Justice) to take 2/3rd majority as it enjoys deep and passionate support up and down the nation. 10) What are your hopes for Pakistan? My hope for Pakistan is simple. I hope for strict and complete implementation of justice and merit. Law has to be equal for all, not like the farce we have experienced in Pakistan in the last few decades. I hope to see more tolerance and collective feeling of national responsibility among the people. I hope to see much more money invested in education as opposed to the peanuts present and the last few Governments have conjured. Imran Khan’s PTI stands firmly committed on this front. Anyone interested in learning more can check out the party’s central website www.insaf.pk. I hope to see people value life and not to tolerate corruption in any form. I want to see Imran Khan’s vision of a vibrant, justice-oriented, and tolerant Pakistan come true – one with meritocracy and humanity with self-esteem at the helm. We at SAMAR want to thank you for the coverage you had provided about marrow/stem cell transplants and the need for increased donors to the Be The Match Registry in the past. At this time we are proud to inform you that our very own Medical Director, Dr. Ron Jacob came up as a match for a patient and donated his cells to potentially save a life. Dr. Jacob is of Malayalee descent and currently lives in Long Island. It extremely rare for someone who is so closely associated with the registry to come up as a a match, but he viewed it as a privilege and donated without any hesitation. Since you were an advocate of our mission, we wanted to reach out to you to see if you would like to cover this story. All the SAMAR executives and Dr. Jacob are available for interviews. Thanks Carol. Look forward to speaking with you.